The first steam-powered railway begins in Great Britain, revolutionizing transportation. The Stockton & Darlington Railroad was the first public railway to use steam locomotives for both moving freight and passengers. 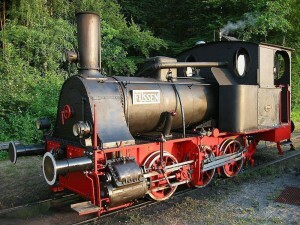 The steam locomotive was a big leap in transportation, and the S&DR triggered the expansion of both freight and passenger locomotives in the Industrial Revolution.